Welcome to Ladakh is premier hotel, located in the quiet Changspa Village, five short minutes from the heart of the Leh town. Ladakh Residency is an apt reflection of modern day Ladakh contemporary yet retaining the old world charm and hospitality that has attracted travellers to Ladakh since the 1970. The hotel is traditional in design and architecture, yet with all modern facilities you might look for on your holiday. 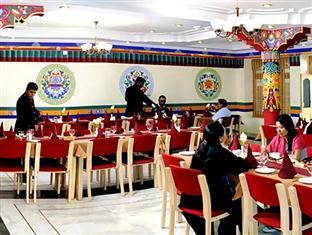 The hotel is owned and managed by Mr. Wangchuk Kalon, who has been in hotel management business since the 1970. Along with a team of proficient handpicked staff, it is our endeavor to ensure that you go back with warm memories of your stay with us. Safe Deposit Box-Front Desk, Restaurant, Parking, Front Desk, Airport Transportation, Laundry Facilities, Travel Counter, Taxi Service, Family/Child Friendly, Backup Generator. Bottled Water in Room, Television Room, Dustbins, Ceiling Fan, H/C Water, Attached Bathroom, Cable/Satellite TV, Complimentary Toiletries, Desk, Shower Caps. User reviews for "Ladakh Residency Hotel Leh"